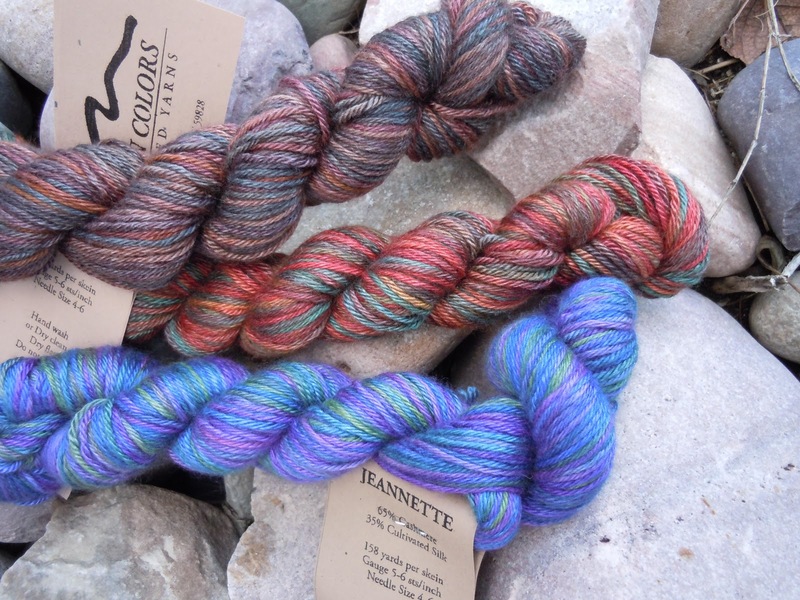 Mountain Colors Hand Painted Yarns: Another Yarn Giveaway! For those of you who are members of the incredible Ravelry site we have a new contest going!! Join our group....Mountain Colors Yarns and check out the contest rules!! The prize is a skein of our newest yarn, Jeannette, a Cashmere and cultivated Silk yarn that is SOOO soft! If you aren't on Ravelry and you are a knitter/crocheter be sure to check it out. Membership is free! Jeannette is a brand new yarn and we are just beginning to ship it out to stores. If you want to knit with it be sure to let your yarn store owner know. Have them give us a call for details!! It comes in approx 50 gram skeins with 158 yards. That is enough to make a scarf!! Perfect Spring knitting! Hummingbird, such a lovely bird and also my favorite colorway. Tiekaa, ravelry. I'm torn between loving the Alpine colorway, and the Wilderness colorway. I loved the Clover one as well. It really is hard to pick one, I want them all! I think I'd have to pick Winter Sky though, I just keep going back to it.